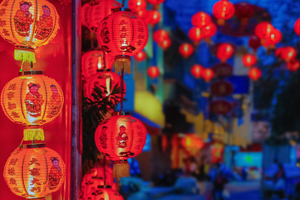 It wasn’t a great start to 2018 for the global property market, as stocks in this sector underperformed relative to broad equities—as represented by the MSCI World Index—for the first part of the year. Rising interest rates were likely the primary culprit, but the space has shown signs of stabilization going forward. There are a number of reasons for this shift, including solid earnings, increased merger and acquisition activity, and an overall move toward defensive segments of the equity market by some investors. Stable property market supply and demand conditions should continue to support ample cash flow growth and limit downside to rental rates, while mergers and share buybacks should provide additional share price support. Private real estate pricing should be steady as a sizable backlog of allocated capital remains to be invested. 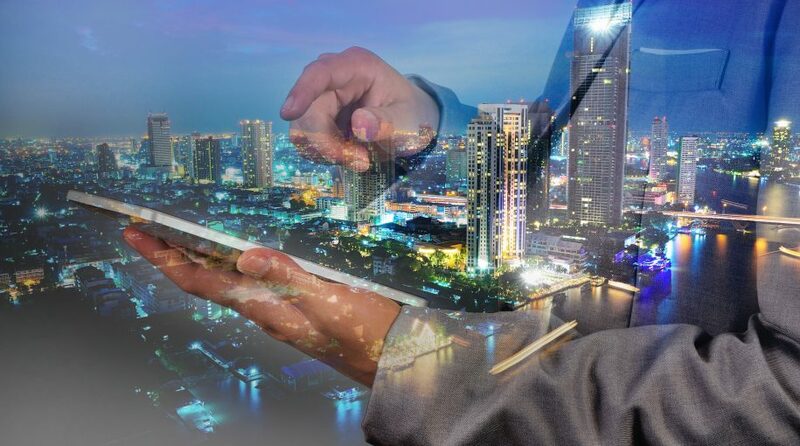 Income potential is a key reason why many investors look to the real estate market, and investors have witnessed a rise in yields for one of real estate’s main competitors in the yield world, bonds. Still, even though bond yields have risen in 2018, the dividend yield spread remains attractive and stable for global real estate compared to global bonds, with recent readings of, respectively, 4.03% and 2.04%, suggesting that real estate is still a compelling income destination (Asset classes: global real estate = FTSE EPRA/NAREIT Developed Index; global bonds = Barclays Global Aggregate Index; global equities. Sources: DWS, Bloomberg. As of August 31, 2018.). We believe that, relative to broader equity markets, now could be an attractive entry point for investors to consider adding to their U.S. or global real estate position. In addition to the improving backdrop for real estate investing, a basic relative value analysis may support this opinion as well. 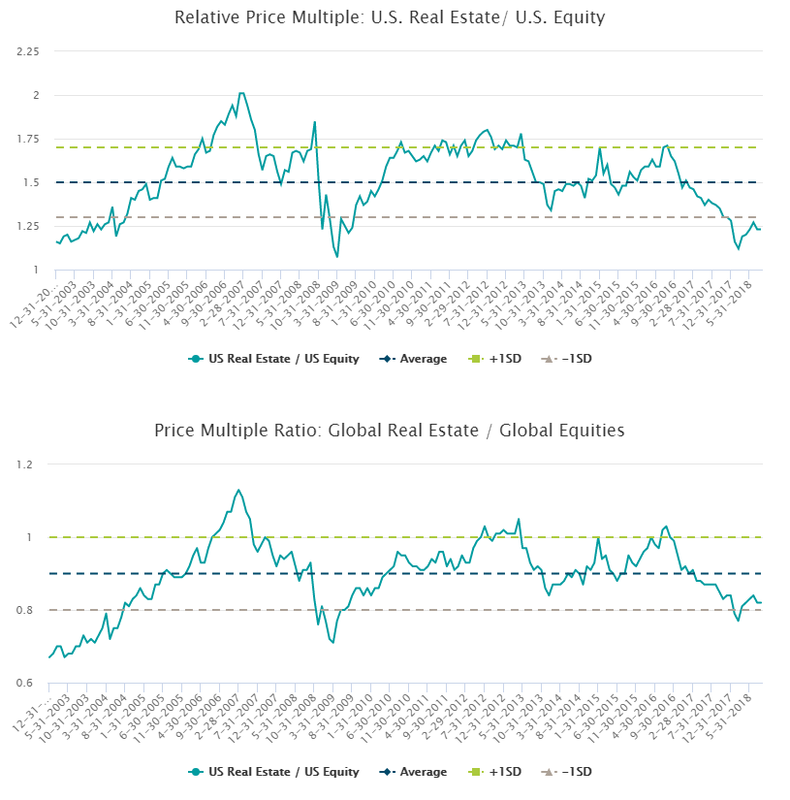 In the charts below, we depict the relative price multiple of real estate compared to broader equity markets, where both U.S. and global property markets are near or below -1 standard deviation from the long-term average. For both relative price charts, global real estate is trading at a favorable level compared to historical readings: (Past performance is not indicative of future results. US REITs = EPRA NAREIT US Index; US Equities = S&P 500 Index; Global Real Estate = FTSE EPRA/NAREIT Developed Index; Global Equities = MSCI World Index. Source: DWS, Bloomberg. As of August 31, 2018.). Global real estate equities appear generally undervalued relative to broader equities and bonds. While subject to interest rate risk, strong underlying property and company fundamentals underpin cash flow growth going forward. While broader sector level themes may influence regional property market performance, we believe stock selection will be the key driver going forward in this market.